Very low rocker throughout the whole board. 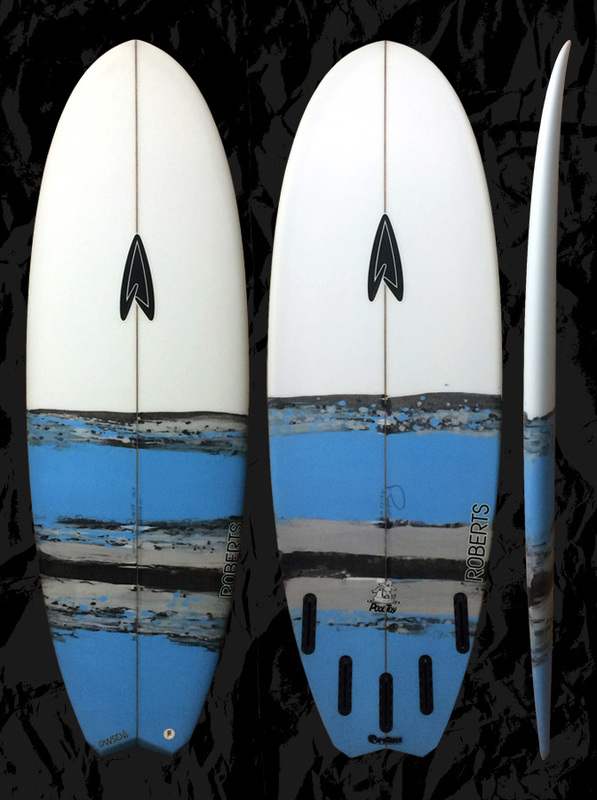 Full for float with tucked hard edges for speed and holding power. Single to extreme double concave to vee out the tail. Flat and slow waves at any beach break or point break. For rail to rail performance groveling ride the Pool Toy 8 inches shorter than your pro model shortboard or 5-7 inches below your height and target around 3-5L more in volume. For cruiser groveling order the Pool Toy longer + wider until you get about 10 L more volume than your normal good wave board. For Dream Machine fans looking for something new go with a Pool Toy one inch shorter, same width and 1/16" thicker. Custom dims are always available to match your needs or preferences. Please feel free to use our CONTACT US form for more info about our boards and sizing.